Everyone knows that developing apps is a tough task since there is much more to it than writing code and being good at the technical stuff. You can go to the right school and get the most prestigious degree and still struggle in the business. To write the perfect app you have to come up with an original idea and focus on a niche that sells well nowadays. To do so, you should follow the news, watch out for upcoming trends, and wait for the right moment to release your app. If your timing is right and you understand what your target audience wants, your app will sell well. If you’ve been paying attention to what’s going on around the world lately, you must have noticed that the online gambling world keeps changing with each passing day. So if you want to create a successful app, you might want to focus on this field. According to statistics, mobile casino apps generated almost 4.5 billion dollars, and experts estimate that the numbers will keep climbing and that by 2023 they will get to 8.5 billion. Those numbers show that you should consider entering the mobile casino market, but before you do that – here are a few tips that might help you develop the best mobile casino app ever made. Find an Original Idea – Although gamblers are not necessarily the pickiest people on earth, you should never assume that they will be interested in your app just because what it represents. You need to come up with an original theme that will spark the interest of people, even those who don’t usually gamble. 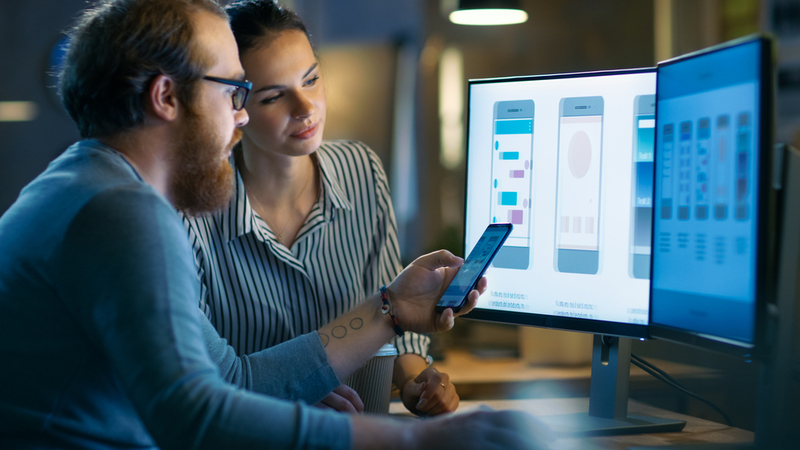 Do Your Research – If you have an idea for an app it’s great, but it is not enough to ensure that your app will become popular with the crowds. You need to decide what your target demographic is, how you can appeal to your target crowd, search for statistics regarding what games your audience usually loves, and more. Once you gather all the relevant info, you will be able to adjust your idea to suit your audience perfectly, thus increasing the chances your app will become popular with the masses. Don’t be Afraid to Change Tactics – You might not notice it, but we all have this tendency to stick to our original ideas and plans even when the situation requires that you make some changes. Once you start developing the app, you might realize that the platform you chose is not the best suited for your purpose, so you will need to be able to adjust quickly before your idea becomes obsolete. Get Some Feedback – Even if you think you’ve come up with the best casino app in the world, you can never be sure that the crowds will like it. Before you release the app for all the world to see, get some feedback from experienced gamblers and a few selected people you can trust, and change your app accordingly. Remember – at the end of the day, your opinion is not the deciding factor and you have to make sure that your app suits your target audience by listening to what your potential customers have to say. Don’t Rush – Developing a killer app is a process that takes time since you have to rewrite your code over and over again till you get the best result possible. Be patient, do your research, and make sure that there are no glitches that customers might complain of. If you take things slowly, you will be able to create an amazing app that everyone will love. Writing a mobile casino app is not an easy job, but if you do things right – the sky is your limit. Take your time, think things through, and maybe you will be able to catch the attention of gamblers from all around the world!